Check us out at the BL Publishing stand at Book Expo America. As well as all the news about upcoming Solaris titles, and plenty of gossip from behind the scenes, we're hosting signing sessions with the likes of Gail Martin and Chris Roberson. 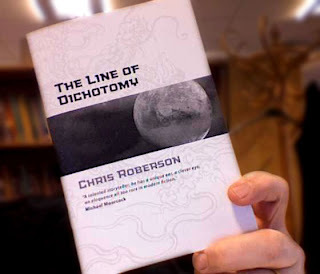 Oh, and while we're talking of the latter, we're giving away an exclusive Chris Roberson short story, The Line of Dichotomy. It might be from the same Celestial Empire setting as the upcoming-in-2008 The Dragon's Nine Sons, but right now the show is the only place you can snag it. So, erm, hurry to our stand, yeah?